Custodian Wealth Builders give high importance to the growth of every client’s portfolio. Our trained consultants will guide you through each process to help you achieve your goals. This is crucial to investors who are focused on the improvement of their income and to those who invest in property. As investments grow, this empowers one to borrow correctly, increase amounts and double their investments. In the long run, this will allow the client to build a chain of assets that are all self-funding via income from rent combined with legitimate tax savings. Most frequently asked questions from clients explore whether Custodian Wealth Builder’s system genuinely offers the returns it proposes. To review this, it is always best to investigate and gather reviews from clients that have applied the philosophy and went to the Custodian Wealth Builders process. Good results do not happen overnight, and many clients progress at different speeds. However, these are the people you can obtain legitimate feedback from in order to review our system. We have 12 investment properties at the moment, and our own house so 13 in total. Basically was to supplement our income, we’ve surpassed it and now we just have to continue on wealth building. I think it gives us a choice when to retire. Well get informed, that was the big thing for us. We did not understand at first, the more we learn, the more we decided to act on it, so that’s number one. The more I red, the more I attended John’s seminars, you know I can see is integrity and basically check out what he has to offer, a proven system. So that’s what we did, get informed and obviously act on it. A lot of people read books I suppose but don’t act on their dreams. If we could have done it I’m sure anyone could have. Custodian Wealth Builders are one of many experts in the field of property investment. 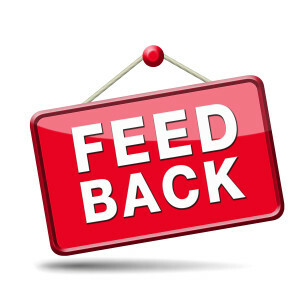 Feedback, both positive and negative, plays an important part of our development as a company. Visit www.custodian.com.au for more news and reviews.